Source of fibre. No artificial colours or flavours. Suitable for vegetarians. 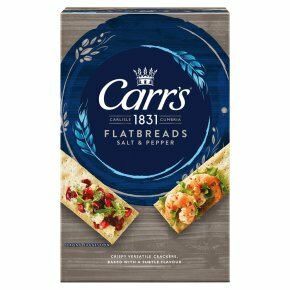 Oven-baked with care in every bite, our crispy Salt & Pepper Flatbreads are perfect for dipping into your favourite soups and dips - adding just the right amount of seasoning and savouriness to any lunch.